Manchester United boss Jose Mourinho has fired an insult at the rest of his managerial colleagues in the Premier League after tonight’s defeat to Spurs. The Red Devils slumped to a 3-0 loss at Old Trafford tonight after Mauricio Pochettino’s side ran riot in the second half, with Harry Kane scoring before a Lucas Moura brace. 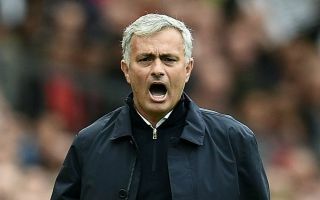 Despite a promising first 45 minutes, Mourinho’s side emerged after the break in a lethargic and disinterested mood, which allowed Tottenham to quickly gain a two-goal advantage and effectively take control of the contest. After last week’s defeat to Brighton and Hove Albion, tonight was billed as a make or break game for the Portuguese tactician and in the wake of another shocking loss, the pressure on his shoulders will only increase amid speculation that he could soon leave the club. Regardless of how successful Mourinho has been in the past, all that matters right now is the present and at the moment it appears that he just cannot get the best out of his squad. Making six changes from the team that lost to Brighton for tonight’s clash changed little and now that United already sit six points off the pace in the league table, the need for alternative improvements to be made has become all the more pressing. While this is typical Mourinho in the sense that he’s cleverly tried to turn media attention away from himself by hitting out at others managers, it certainly seems a little less effective and just more desperate when results have been as bad as they have been on his watch.